We recently featured an article by new contributor Justin Moon about the Eclipse Bench Vise, and Bench Vises in general. 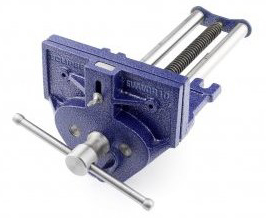 The bench vise sees constant use throughout every stage of the process from dimensioning to finishing. It is difficult to name a tool that is used more often or one that has a greater impact on the efficiency of other tools in a hand tool shop than the vise. Read the full Bench Vise article here.